Henrys.com : SONY UTXM03K14 DIGITAL WIRELESS MIC TRANSM. SONY UTXM03K14 DIGITAL WIRELESS MIC TRANSM. The UTX-M03 uni-directional handheld microphone forms part of a complete UWP-D audio system offering the sound quality of digital audio processing combined with the reliability of analogue FM modulation. Easy-to-use features include automatic channel setting function. The microphone transmitter has the option to use interchangeable heads with over 40 different capsules from various manufacturers available. The UWP-D Series system provides superb transient response performance for all ENG / EFP production applications. 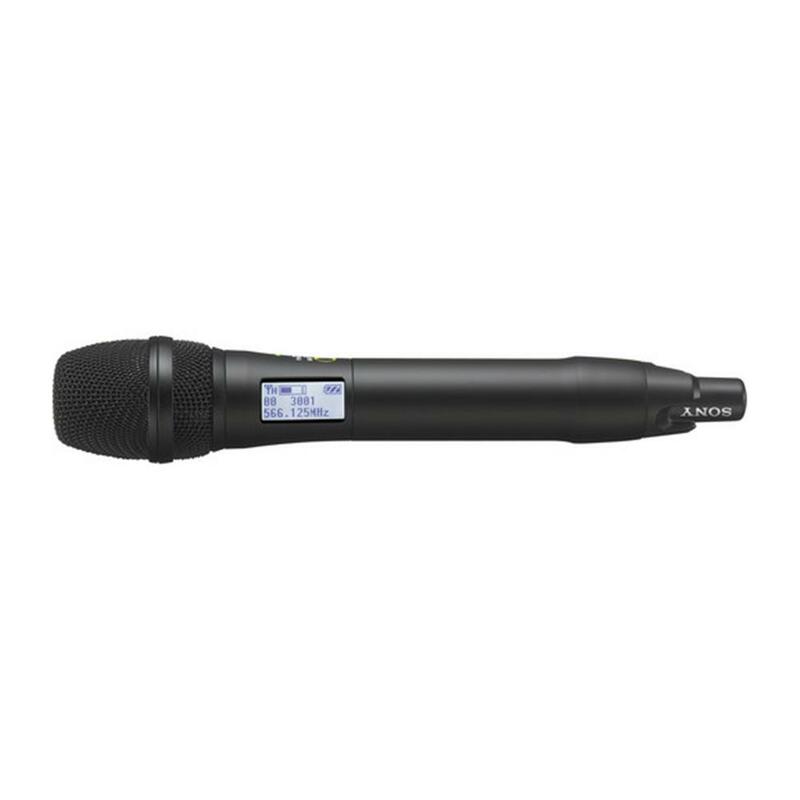 The UTX-M03 handheld microphone provides rechargeable battery operation is also available with Ni-MH batteries. The UTX-M03 handheld microphone is made of strong, durable metal. Metal construction supports reliable use in rough operating conditions.